Learn Jedi mind tricks on May the Fourth! Okay, maybe not Jedi mind tricks, but we *will* be hosting our 2nd speaker’s workshop at the ReadyTalk offices in Denver on May 4th. This session will teach you all about what to expect as an Ignite presenter. From hugs & high-fives to dodging shoes and shrugging off the hecklers, you can get all of the down & dirty 411 for the show. We want you to be comfortable on stage, whether it’s your first time in front of a theater of people, or if it’s your first time speaking at Ignite Denver. The ReadyTalk office is located at 1900 16th St #600, Denver, CO 80202, about a block from Union Station. There is a parking garage next to the building with a night rate of $3.00 after 4:00pm. 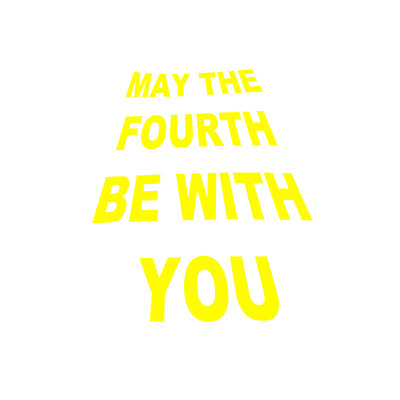 See you Monday, May the Fourth…be with you. Had to say it.